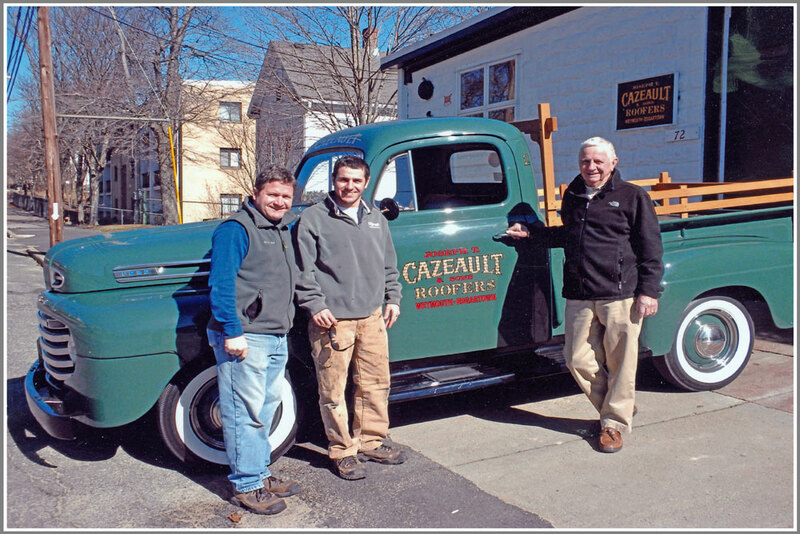 Joseph T. Cazeault & Sons, Inc is a family owned roofing and sheet metal business founded in 1927 by Joseph T. Cazeault in North Weymouth, Massachusetts. Now operating in our fifth generation, we have built up years of experience servicing both residential and commercial properties throughout the Eastern Massachusetts area. We are fully insured and certified, and because we have maintained a positive reputation throughout the years, we are able to work with the best manufacturers in the business so that we can ensure you receive a high quality product. Our mission has not changed in over 80 years. We strive to be a leader in residential and commercial roofing, and sheet metal fabrications, by offering a high level of service at a good value to our customers.